The Japanese program consists of two main elements, offering Japanese nurses, health care workers and students an insight into nursing in Australia. 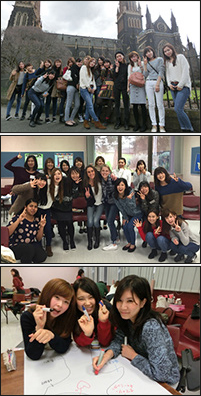 The first is a short program for undergraduate nursing students where they learn about cross cultural nursing in Australia. The second program is a professional development course for Master students and health care professionals, the focus of which is palliative care and thanatology. Further academic collaboration with several Japanese universities is also currently underway as this program gains in popularity.